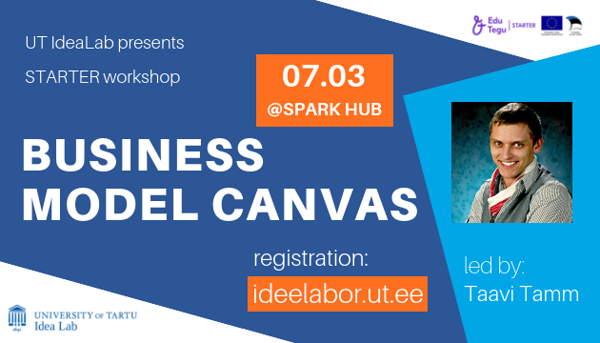 In the first seminar of STARTER programme participants gain knowledge and skills on how to create a Business Model Canvas and use it throughout the idea development process. Your business model on one page! BMC is a global standard used by millions of people in companies of all sizes. 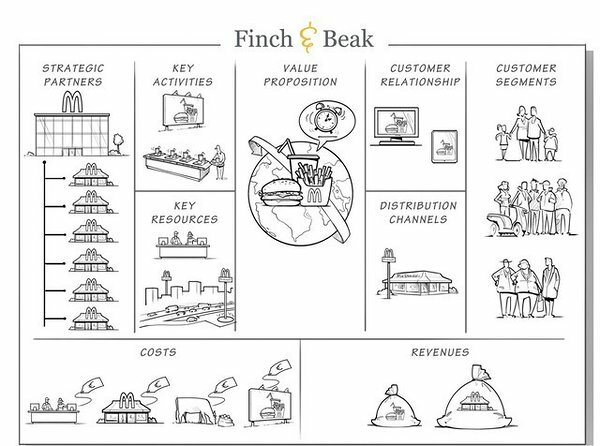 You can use the canvas to describe, design, challenge and pivot your business model. It works in conjunction with the Value Proposition Canvas and other strategic management and execution tools and processes. The workshop is led by Taavi Tamm! Taavi launched his very first business when he was a first-year student in College – and he failed. He tried again and again until he figured out how to do it. Lately, he has been working as a Service Design Strategist for WAE in NYC. Today he’s a freelance service designer, trainer and an entrepreneur. The programme is still open for teams and individuals to join! ✅ If you don't have an idea then you can find the idea that interests you from the workshop! Simply show up, listen to different pitches and join the team that you like the best! Attend the event on Facebook!